We are trying to trace the owner of a dark blue Boardman drop-handlebar bicycle recovered during an investigation into the recent theft of pedal cycles in Eastbourne. Anyone with information is asked to contact Sussex Police online or phone 101, quoting serial 496 of 31/01. A 45-year-old Eastbourne woman arrested on suspicion of theft and going equipped to steal has been released under investigation. 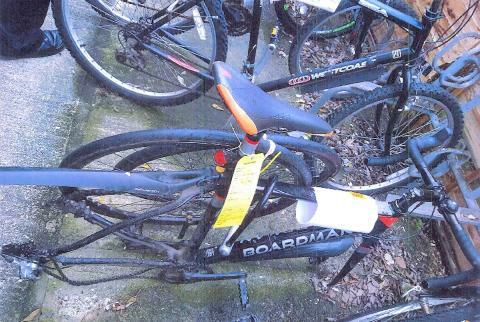 A 24-year-old woman from Eastbourne who admitted stealing bikes was dealt with by means of a formal caution. As an alternative to contacting police directly, it is possible to pass information anonymously via the independent charity Crimestoppers, telephone 0800 555 111.